This guide supports further research into the history of art and activism, as well as some practical solutions for working artists. 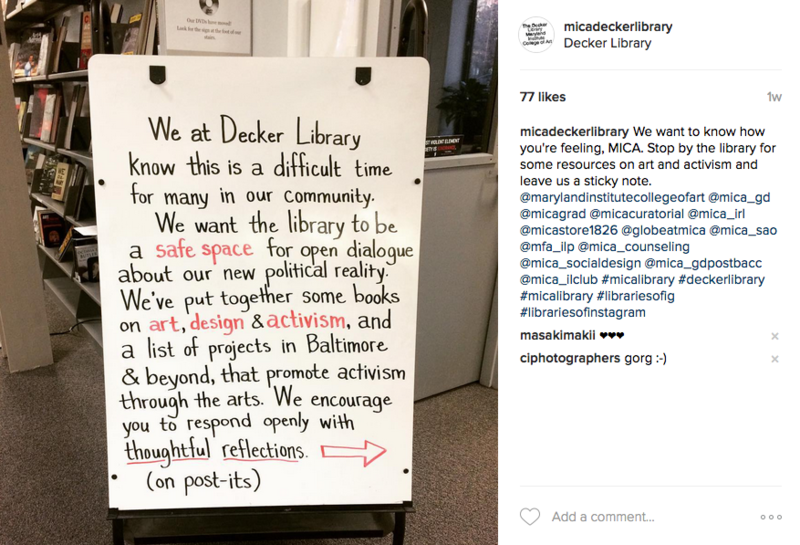 Welcome to Decker Library's Art and Activism research guide. In this guide you'll find a list of library resources related to activism and social justice in the fields of art and design, a list of arts-focused activist initiatives in Baltimore and beyond, and information about social justice-focused archives.